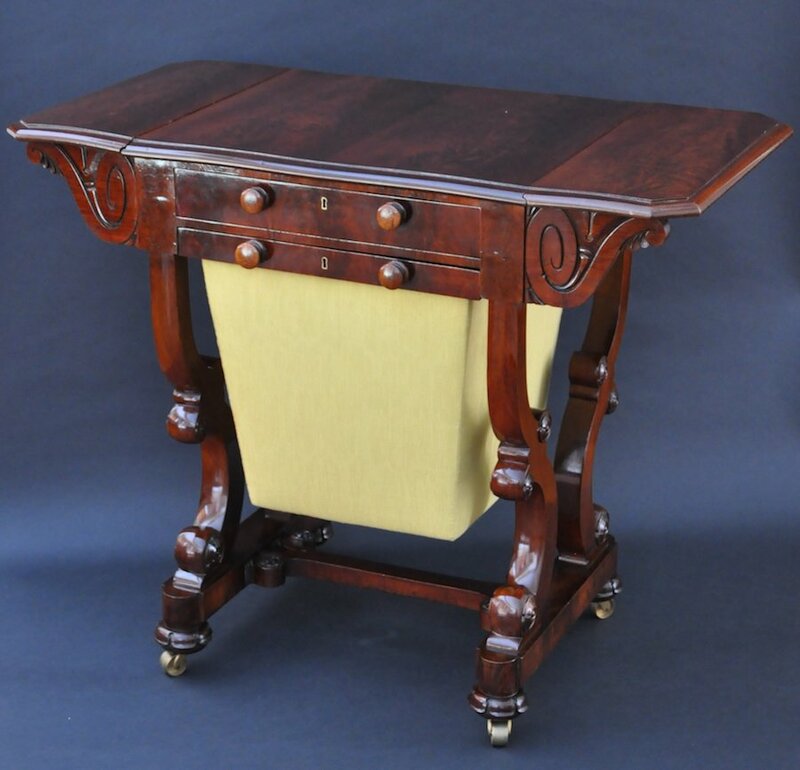 This handsome Boston work table exhibits beautifully matched crotch walnut veneers on its top. 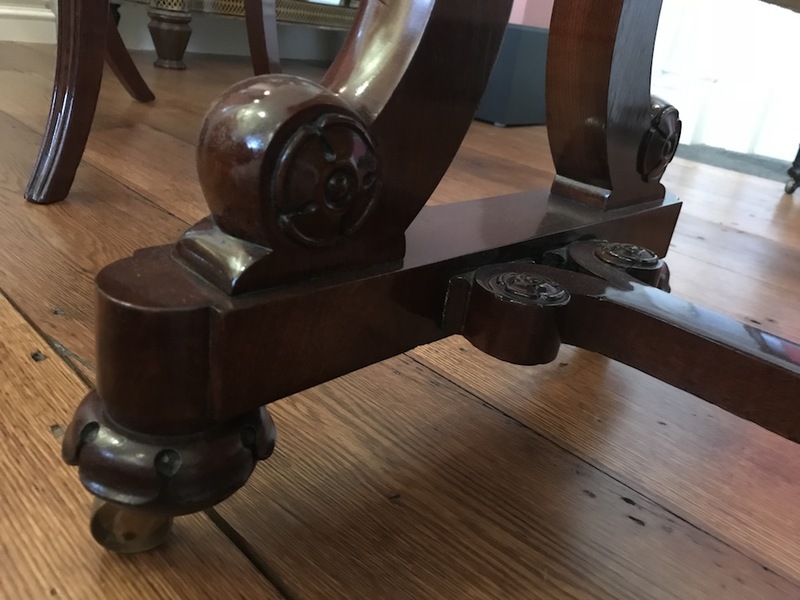 The supports for the table are formed by pairs of joined scrolls. 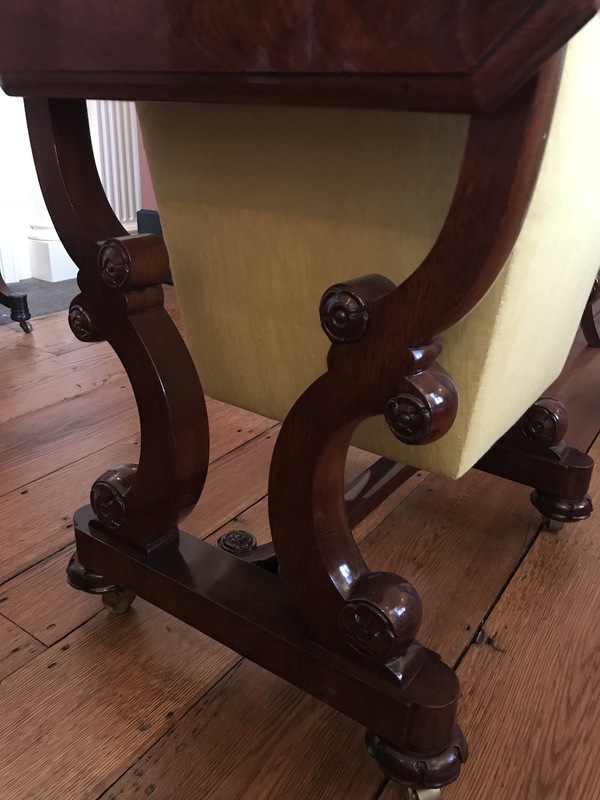 The carving of the rosettes on the scrolls is repeated in the carving of the feet. Four carved scrolls swing out to hold up the leaves when they are raised. 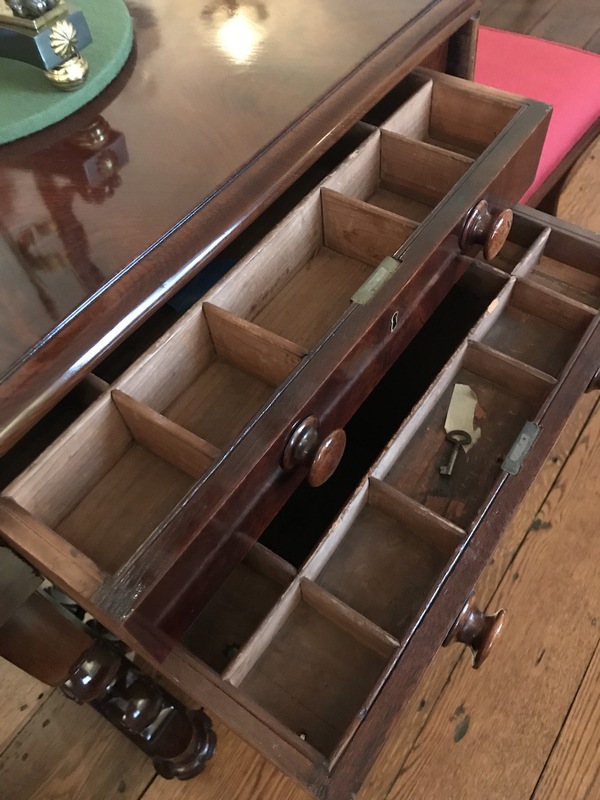 The two interiors of the drawers are divided into compartments with the bottom drawer supporting a silk covered box drawer.